If you’ve ever had a surgery or a painful condition that required hospitalization, then you’ve probably been given opioid medication. The opioid family is the most commonly prescribed medication for analgesia. There are many different opioid drugs, though they all function in a similar manner. Today we’re going to explain exactly what opioids are, how they work, and the kind of precautions that you’ll need to take when using opioid pain medication. So what are opioids, exactly? Opioids are, in essence, any drug that activates the opioid receptors in the brain. Activating these receptors results in an effect similar to that of morphine, which is the most commonly used pain medication for hospitalized patients. Opioids are generally compared to morphine, and are known as such, because morphine was the first chemical extracted from the opium poppy. Opium itself has been used for thousands of years, but it was only in the 19th century that morphine, one of the most potent constituents of opium, was extracted and synthesized. Since then, many other opioids have been synthesized and discovered. They include, among others, fentanyl, oxycodone, the illegal street drug heroin, and many more, including some of the drugs that are used for helping ease people off of illegal opiates, such as methadone and suboxone. Opioids work through direct stimulation of opioid receptors in the brain and body. Some opiates, such as loperamide (Imodium) can't cross the blood-brain barrier, and thus only produce effects in the body. Other drugs, like heroin, are much better at crossing the blood-brain barrier, and are capable of producing very strong effects. There are several main receptor sets that classify as opioid receptors, but the most significant opioid receptor in regards to medical usage is the mu opioid receptor. Stimulation of this receptor produces intense analgesia, euphoria, relaxation, anxiolysis, as well as some adverse side effects such as drowsiness, dizziness, and constipation. Opioid agonists are opioid drugs that agonize, or activate the opioid receptors. These are the drugs that are used in clinical settings for analgesia. They’re also capable of producing intense states of addiction and dependency, and should be avoided unless absolutely necessary and at the discretion of your doctor. Opioid antagonists are opioid drugs that do the opposite of agonist, and deactivate the opioid receptors. These include drugs like naloxone, which is used to counteract opioid overdose. What dangers are associated with opioid use? While it’s well-established that opioids are powerful medications that have a lot of practical use in clinical settings, they can also be extremely dangerous. 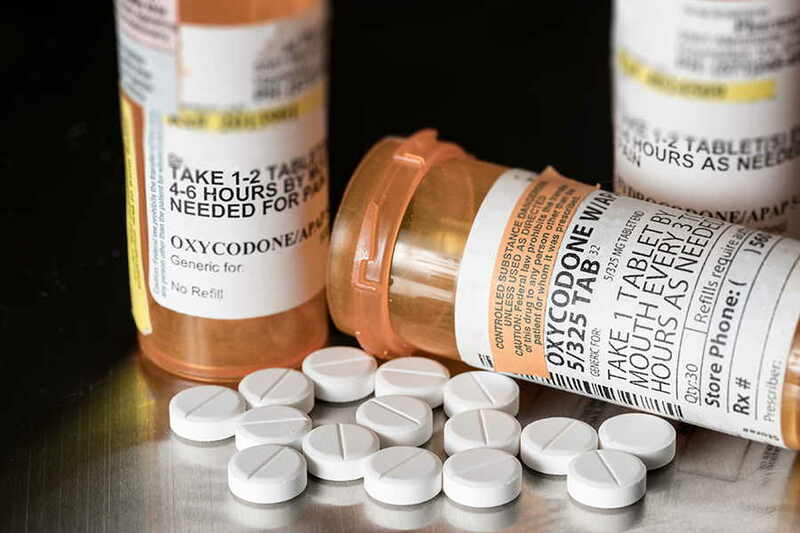 Using opioids, regardless of whether or not you’re under the supervision of a medical practitioner, can result in many drastic, unwanted side effects or other unpleasant situations. Opioid dependency occurs when users begin to experience increases in tolerance. Tolerance to a drug means that the user requires more and more of the drug to experience the same effects. In the case of drugs that are physically addicting, like opioids, this can lead to dependence and serious addiction. Dependency and tolerance occur because of a process known as downregulation. As you ingest opioids, your opioid receptors become accustomed to the excess flow of opioids in the brain and nervous system. As this happens, the receptors downregulate - they essentially shrink, so they can cope with the bombardment of opioids. The more they are downregulated, the more opioids you will require to feel the effects. Furthermore, serious downregulation leads into opioid withdrawal. Opioids have some of the most severe withdrawal symptoms out of all commonly prescribed drugs. While the withdrawals won’t kill you, as withdrawal from benzodiazepines or alcohol might, you will certainly feel like dying. Sometimes, opioid users require hospitalization to deal with their withdrawal systems. To avoid the full experience of withdrawal, it’s a good idea to wean yourself off opioids. This involves gradually decreasing the dose of opioids that you take, so that your receptors can gradually upregulate themselves. Talk to your doctor about this process. Opioid overdose is the chief concern of someone who is new to opiates, and is of particular concern to people who use the drugs illegally without medical supervision. Opioid overdose can occur for a number of reasons. Opioid overdose can occur as a result of comas induced by very high doses of potent opioids. If someone who doesn`t have experience using the drugs attempts to medicate themselves with a stronger opioid, they may simply lose all function and end up in a comatose state. Respiratory depression is the other main cause of death by opioids, and goes hand-in-hand with an opioid-induced coma. Opioid overdoses can be reduced by injecting users with naloxone or other opioid antagonists, but the best precaution is to just avoid overdosing at all costs. There are many other problems that can arise from using opioids, including extreme itchiness, nausea, vomiting, confusion, and difficulty functioning at work properly. These can all be discussed with your doctor, and none of them will have fatal consequences. Opioids are powerful medications that can vastly improve the quality of a person’s life. However, they can easily be abused, and they can easily lead to addiction and dependency. These problems can make a person’s life worse than it was before beginning to use opioids. It’s possible to use these drugs responsibly, but it’s best to do so under the supervision of a medical practitioner. Make sure you don’t exceed your prescribed dose, and don't’ use opioids longer than you have to.